There are many oral surgeons in the Bay Area, from San Francisco to San Jose. Some of them are good, some are very good, and some are great. However, the very best oral surgeon in San Francisco is one who is great and also treats you as the individual you are. Our objective is always to position our doctor, Dr Alex Rabinovich as one of the very best Bay Area oral surgeons, because he works with every patient on an individualized treatment plan. He recognizes that every patient is different, and even if a patient presents with the same symptoms as another patient there will be certain differences. He always takes this into account when working with a patient in order to achieve nothing less than the best result for that individual. As far as Dr Rabinovich is concerned, it is being the best Bay Area oral surgeon for each individual patient that is important, not being the best in some Bay Area hypothetical “competition”. Dr Rabinovich only ever uses the very best equipment and procedures to treat his patients. For instance, he has a state-of-the-art NewTom 3D CAT scanner which he uses rather than traditional x-rays in order to examine his patients. This gives him a full 3D picture of his patient’s mouth and jawbones in just 20 seconds which enables him to make the correct decision as to how to proceed. It is far superior to an x-ray machine. When performing dental implant procedures, for example, it will show him the quality and density of the jawbone into which the implant will be inserted. This in turn lets him determine the proper treatment approach for that patient, decide the precise placement of the implant, and select the correct size and type of implant. It also enables him to make certain that he avoids any nerves and sinuses. In addition, when performing implant surgery he only ever uses top quality implants rather than a cheaper foreign import. 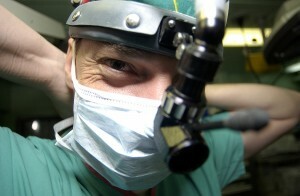 Dr Rabinovich is not only an oral surgeon. He is also a highly trained and qualified maxillo-facial surgeon. This means that he can carry out any type of procedure involving any part of the head and neck, including cleft lip and palate surgery, bone grafting, jaw surgery, treat sleep apnea, TMJ disorder, facial trauma and facial surgery, and oral pathology. There are very few oral surgeons – if any – in the Bay Area who possess the range of skills that Dr Rabinovich does. So if you are looking for one of the best Bay Area oral surgeons, Dr Rabinovich should be at the top of your list!